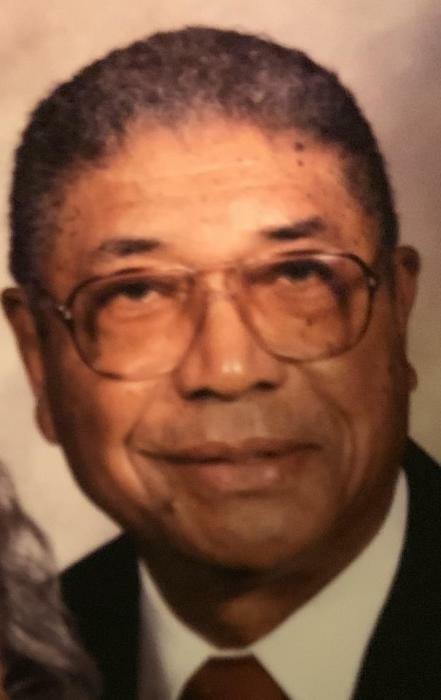 George Julius Taylor Jr. passed away on April 11, 2019 at age 99. He was born in Red Bank, NJ on August 30, 1919 to George and Louise Taylor. His father owned Taylor's Auto Body, a collision and body repair shop. His family lived through the Great Depression and after high school he trained to become a mortician. After the attack on Pearl Harbor, he was enlisted in the Army, served in the 372nd Infantry, and became a platoon sergeant. After returning from the war, George took over his father's auto body shop. He also owned and operated Lucian's Depot Bar. He had three children with his first wife, Minthaw, who passed away in 1952. He married his second wife, Cecil Parker, in 1959. They moved to Ocala, Florida after retirement. He was preceded in death by his sister, Alyce Markham, his daughter, Ann Taylor Hodges, and his grandson, Troy Hodges. He is survived by his wife, Cecil Taylor, his son, George J. Taylor III, his daughter, Lois Taylor Holsey, five grandchildren, and eight great grandchildren.